"Clutter VI: Leigh's Story is really good and fun to play. It keeps you interested all the time and there is loads in it." 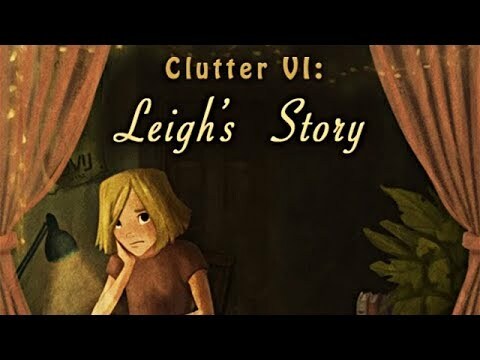 Another chapter in the Clutter series brings you Leigh's Story, rising to a whole new level with a compelling story that introduces more Hidden Object fun. Additionally, there are new styles of play including Head To Head, Clutter Chaos, and Twos and Threes. There is truly something here for everyone. All your old favorites are back as well, and there are more Clutter 100 levels than ever before. Featuring over 500 new objects, over 75 picture puzzles and box quotes puzzles, and randomly generated levels, there is endless replayability in Clutter VI: Leigh's Story. I enjoy all the Clutter games. I hope Joe continues to make more. They keep you on your toes. I enjoy all the Clutter games and have played all of them. It's fun finding pairs and other versions that are included. I hope there are more of them.